7 Popular LinkedIn Plugins You Should Consider In 2019 | GUI Tricks - In Touch With Tomorrow! 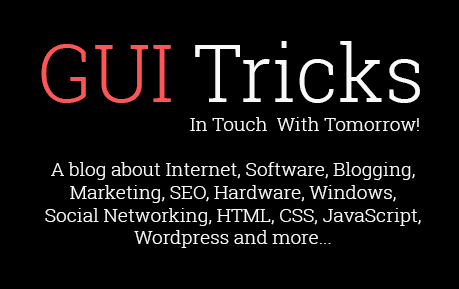 7 Popular LinkedIn Plugins You Should Consider In 2019 - GUI Tricks - In Touch With Tomorrow! Launched officially in 2003, LinkedIn has grown to become the premier social media platform for business professionals. Today, it boasts more than 430 million members spread out across over 200 countries. But let’s face it, for many people, LinkedIn can be a bit boring because it’s all business – for the most part. It’s like the housekeeping equivalent of wiping downlight bulbs, or cleaning the cutlery drawers – you do it not because you want to, but because you just have to. This includes polishing up the detail-oriented LinkedIn profile section, painfully applying filters as you search for viable leads, attempts to generate traffic for your business website, promoting your product or services. Must Check out! "7 Mobile Apps That Make Professional Networking Easy"
Fortunately, there are many LinkedIn automation tools for business you can leverage to take your marketing, hiring, networking and selling efforts to new heights: LinkedIn plugins. Plugins are tools that incorporate LinkedIn functionality into your website, allowing you to unlock the social network’s full potential. LinkedIn plugins vary from free to premium, but if you are really serious about taking your LinkedIn game to the next level, paid solutions are the way to go. Here are 7 popular plugins you should be looking at this year. As far as LinkedIn prospecting tools go, LinkeLead is one of the options to consider. This is a lead capture software that takes the hassle out of lead generation by automating the process. We know, scouring for prospects is not a task that sets pulses racing for most of us, but this Chrome extension will do the dirty work for you so you don’t have to. Simply install it on your browser and get started on your first lead generation campaign. LinkeLead can view hundreds of profiles in just a single click and send connection requests automatically. The software lets you create personalized offers and messages which it then dispatches automatically in response to, say, a connection request. You can also build mailing lists with LinkeLead using the most potential prospects, with the option to place them into distinct groups for easier targeting. All user data and chat history is saved in a CRM database and can be exported as a CSV file. A CSV file carries important user details such as the names of the people whose profiles were visited, where they work, their job title, timestamp of the visit etc. LinkeLead is available in a one-week trial version with full functionality. Octopus CRM is an all-inclusive LinkedIn marketing solution tailored for business owners, recruiters and marketing professionals. The powerful software is packed with handy features that “autopilot” various LinkedIn processes, meaning you won’t be needing another tool to get the job done. Octopus can visit hundreds of profiles at a go using automated personalized requests to connect with second- and third-degree contacts without having to comb through profiles in person. You can use it to send automated LinkedIn messages to hundreds of your first-degree connections, as well as indulge them by auto-endorsing their skills. The fact that Octopus comes with an integrated CRM means you can accomplish key tasks like building a solid marketing funnel on LinkedIn. Take advantage of its Stats section to analyze different metrics which can help you glean valuable insights from your contacts data. Each plan has a 7-day obligation-free trial. Meet Leonard is another LinkedIn automation software that can aid your growth strategy efforts. The solution can help you amass a following on LinkedIn by automatically sending hundreds of personalized invitations filtered down to keyword, location, industry, size of company and relationship (2nd or 3rd connection etc.). Compatible with Sales Navigator, Leonard for LinkedIn also comes with customizable message templates which can be sent to all your first connections, making it a professional mass email channel that allows businesses to overcome GDPR hurdles. Another useful feature you’ll love about Leonard is it can send you notifications for every profile view you get, setting the stage for what might be a potentially beneficial relationship. Leonard’s CRM function is a great avenue to gather and analyze data which can be leveraged for marketing purposes, with a dashboard that makes it easy to manage campaigns. Unfortunately, it is no longer available in Chrome store and the fact it doesn’t come with address details on its website doesn’t help matters. Meet Leonard has a free basic version that allows for use of the auto-visit function for up to 200 profiles a day. If you are on the hunt for good LinkedIn prospecting tools, Recruiter Nerd is one of the products you should be thinking about. The solution can save recruiters precious man-hours by automating a host of tasks, chief among them, sending out mass invites and messages that can be tailored based on candidate profiles. The easy-to-use plugin can help businesses in lead acquisition by visiting hundreds of profiles automatically. You can schedule tasks to be executed at a certain time such as, for instance, viewing profiles, posting or messaging your connections. Recruiter Nerd can integrate with Sales Navigator, a feature you’ll find useful in building and nurturing your LinkedIn relationships. The plugin can be downloaded from the Chrome Web Store, with its free version offering only basic features. eLink Pro is founded on the premise that people are more likely to check out your LinkedIn profile if you check out theirs. It can view 800 LinkedIn profiles per day, making it a go-to LinkedIn marketing solution for salespeople whose major goal is drive more sales for their business – and whose isn’t, right? Of course, it’s not a guarantee that each of the 800 profiles you visit will return the favor. But there is a fat chance 5-10% will do so, which translates to upwards of 40 people per day –which is not a bad number. Some will end up as connections, while others might even qualify as leads. Social Pilot is more than just a LinkedIn automation software. This is a social media management tool for all your social networks. Whether are a small business or professional, agency or enterprise, you’ll find Social Pilot a handy solution with its simple dashboard which bundles a slew of social media management tools in one place. If you manage multiple social media accounts or regularly publish content on LinkedIn, you’ll find this tool invaluable. Its bulk scheduling feature enables you to post more than 500 posts at a go. Another pivotal feature is Analytics. You can use it to gain insights about your content performance – e.g. clicks, engagement and conversion – as well as keep track of your LinkedIn connections. Social Pilot can curate and suggest content based on industry, and its graphic white label reports can be used to measure growth and devise strategies to boost outreach. All have a 14-day free trial, save for the Enterprise plan. Linkedroid is another tool marketed as a LinkedIn automation software which allows you to automate tasks on the platform. The profile auto-visit feature makes it possible to reach targeted leads with extended search criteria. The bot can add 2nd-degree connections on your behalf and auto-endorse your first-level connections. Linkedroid can even accept pending connection requests automatically, as well as withdraw pending connection requests. The CRM dashboard makes it easier to manage your contacts, keep track of campaigns and review stats. Unfortunately, Linkedroid is one of the many plugins that have currently been blacklisted by LinkedIn and its usage might lead to account termination. Today, we have a myriad social platform with large user bases and numerous great features – all good news for businesses. But if you are in it for B2B marketing and networking opportunities, none comes close to LinkedIn. A good thing is, LinkedIn today doesn’t have to be a boring marketing platform. The LinkedIn automation tools we have discussed here can take the blah out of your LinkedIn marketing efforts while helping you market your brand the right way. Take advantage of them to increase brand awareness and drive sales through quality leads.